This book is a bit of a roller coaster ride, but it was a ton of fun to read and probably one of the most imaginative books I've read in quite some time. The story is told in a series of memos, medical reports, interviews, journal entries, and text messages and focuses on two teenagers trying to survive after a corporation invades the planet of Kerenza. Kady and her ex-boyfriend, Ezra, manage to survive the invasion but are separated and live as refugees on two different space ships that are trying to flee from the mega-corporation's troops on board the Lincoln. 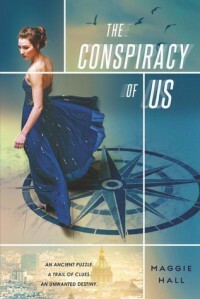 Ezra is conscripted into the air force while on the military space ship Alexander, while Kady is a civilian living on the science vessel Hypatia and uses her knowledge of computers to hack into military files in an attempt to discover the reasons for the attack and find a way to help save both the Hypatia and Alexander from being destroyed. I will be blunt: Illuminae is not a book for everyone and I had a difficult time getting hooked into the story. The story is very well written and contains a decent amount of snark and humor, but there is a lot going on and so many subplots that it can be a challenge to follow along. I do not read many novels written in an epistolary format and I found myself skimming certain sections of the book that were more factual or that focused on a subplot in which I wasn't as invested. However, this is a series that would likely translate well to film and I hope that this happens one day. 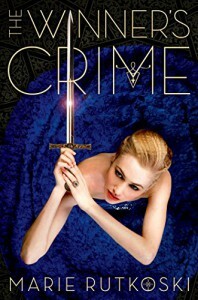 I will likely read the next book in this series when it is released. Most Anticipated 2016 Book Release: March cannot come soon enough! I'm dying to know how Kestrel and Arin's journey concludes in The Winner's Kiss. I'm trying not to get my hopes too high so I can enjoy the book regardless of what happens in the story. New Book Series: Flawed by Cecilia Ahern is supposed to be released in April and is marketed as The Scarlet Letter meets Divergent. The comparison seems a bit odd to me, but my interest is peaked nonetheless. Unfinished Book Series to Revisit: There are several book series that I enjoyed reading but due to a busy schedule I put them aside. I'm not as enamored by the Lunar Chronicles books as some other readers, but the series is certainly entertaining and I'd like to read Cress by Marissa Meyer and if I have time, possibly Winter (it's over 800 pages long so we'll see). I also want to try finishing The Infinite Sea by Rick Yancey and Ruin and Rising by Leigh Bardugo, which are books that for some reason didn't hold my attention like I anticipated. Sci-Fi/Fantasy: There are SO MANY books that I cannot wait to get my hands on and it is impossible to pick just one. 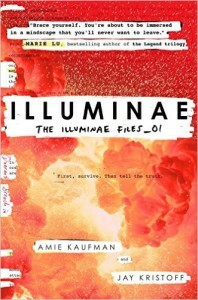 I just started reading Illuminae by Amie Kaufman and Jay Kristoff. It's so different from other YA sci-fi books I've read....but in a really good way. I purchased Fortune's Pawn and Steelheart on my Kindle over a year ago but neither made it into my book rotation, so I'd like to include them in my reading list. I also picked up Tigana by Guy Gavriel Kay at a bookstore a while back so I'd like to give it try. The Classics: I told myself last year that I would be more inclusive in my reading material and failed miserably. I made the mistake of reading Anna Karenina and watching the 2012 film before I finished the book. I liked the book....the movie not so much. I'd really like to finish it, as well as incorporate a few other literary classics into the mix such as As I Lay Dying, The Age of Innocence and In Cold Blood. Books to Read Again: I read The House of the Spirits by Isabel Allende when I was a junior in high school and remember being absolutely captivated by the story. It's been more than ten years since I read it, but I would like to see whether or not my impression of the book will change. I also want to read all seven Harry Potter books again - but make it more of a challenge by reading the series in French. I've basically lost all ability to speak the language, but I think this would be a fun way to improve my reading skills so I can tackle more challenging French language works in the future. By far my favorite book I've read this year. I'm experiencing an amazingly wonderful book high right now and cannot stop smiling. Simon Spier's narrative voice is so distinct and it's impossible not to fall in love with his character, as well as his friends and family. If you're looking for a feel-good story, please consider giving this book a chance. 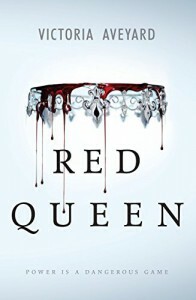 The premise of Red Queen definitely held my interest - a young girl is trapped in a society ruled by "Silvers" who possess god-like abilities and can master the elements. Mare Barrow is a "Red," an individual enslaved by the Silvers living among people with no magical abilities. Mare is viewed as a disappointment to her family as she possesses few skills other than a talent for thievery, and her outlook in life is bleak. She is expected to join the army, but a chance encounter with a stranger leads her to be employed as a servant of the King and the discovery of an ability she had no idea she possessed. Mare masquerades as a Silver as she learns to control her new-found ability and develops a plan to help the Reds in their cause to gain equality and freedom. I enjoyed reading this story immensely in spite of some major problems that exist with the plot. I love a book that has high political stakes intertwined with conflicting family allegiances, and in many ways this book definitely delivers a satisfying and adventurous tale. I was engrossed in the world Aveyard created....but I honestly wanted a bit more world-building than what we were given. If you're going to a write fantasy novel, you must go ALL IN and create an epic conflict that will captivate your audience. The war described in the book is far too vague and is reminiscent of so many other conflicts that plague YA fantasy novels. Every territory in this world has a political structure in which there is a Silver monarchy and an enslaved Red population. If the primary conflict is a power struggle among Silver nobility within these regions and the Silvers possess unthinkable abilities, including mind control, then why would powerless Red soldiers need to be conscripted into the King's army to fight its battles? This would be comparable to a muggle army joining death eaters under the command of Lord Voldemort in the Harry Potter books to fight in a war against other wizards......which would make absolutely no sense whatsoever. There's also the issue of Mare's new-found ability. It takes an extraordinary suspension of belief to accept that Mare's power remained dormant throughout her childhood. Given the degree of oppression and violence experienced by the Reds, it is difficult to believe that she has never been exposed to a stressful event that would trigger her ability and make it apparent to others, especially her family, that she is different. Although there are some glaring issues with the plot, I am hopeful that some of these kinks will be worked out in the next book of the series and excited to see how the characters will work together to survive given the numerous lies and betrayals that take place at the conclusion of this story. This book is one of the most talked about novels in 2015 and for the life of me, I can't understand why. The premise of this story is like a poorly written episode of Desperate Housewives. It centers around Rachel Watson, a divorcee alcoholic who is obsessed with her ex-husband and his new family. She rides a train each day that passes her old neighborhood and catches brief glimpses of the lives of families living on Blenheim Road, longing to return to her former life. One day, she witnesses a startling event that later develops into the disappearance of Megan Hipwell, one of the residents on Blenheim Road. 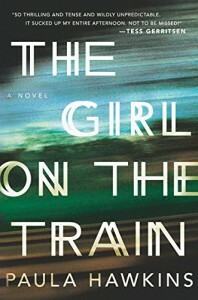 Rachel embarks on a journey to solve Megan's disappearance and immerses herself into the middle of a murder investigation. I am baffled by the popularity of this book. The story is narrated by three different female characters, all of whom are rather pathetic: Rachel (divorced woman), Anna (wife of Rachel's ex-husband), and Megan (neighbor). These women essentially possess identical flaws - they turn to alcohol when they are stressed, engage in irrational and unhealthy behaviors (ex. snooping in their partner's email/phone to discover a lie or engaging in inappropriate affairs), and they become fixated on their failures as wives and mothers. None of these women are emotionally or mentally stable, and they are basically the same character. We're supposed to be gripped by Megan Hipwell's "mysterious" disappearance and feel sorry for these women, but I felt nothing. I like flawed characters, but there needs to be some redeeming feature that makes me want to root for them even if I disagree with their motives or logic. Unfortunately, I didn't find anything enjoyable about these characters or the story as a whole. As far as the so-called "mystery" is concerned, it is evident early on who is responsible for Megan's disappearance. Rachel's constant blackouts due to her perpetual state of drunkenness are overly convenient barriers to solving the mystery until the moment arises in the narrative that she miraculously remembers a key detail when it's needed the most. I wish I enjoyed it more than I did, but the book and its characters were so contrived I couldn't take the story seriously. I was looking for a lighthearted fluffy kind of romance and in certain respects, this book delivered. Emma Corrigan is a heroine who makes endless blunders and has socially awkward moments that made me smile and laugh. She is basically an airhead times one hundred, which I initially didn't mind but it started to grate on my nerves as I reached later chapters of the book. There came a point while reading when Emma's personality and choices are too ridiculous to take seriously, and she becomes a caricature instead of a fully developed character that I would want to root for to overcome obstacles. The romance is cute at times, but I don't think Jack Harper is the type of romantic lead to swoon over and by the end of the book I thought he was a jerk. 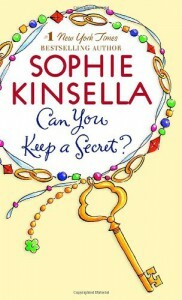 I couldn't understand what Emma sees in him and overall this story pales in comparison to some of Kinsella's other works (specifically I've Got Your Number, which is a much stronger and more humorous story). Reading progress update: I've read 152 out of 400 pages. The Book of Ivy is yet another YA novel set in a dystopian society in which the world has been destroyed by nuclear war and a greatly diminished population struggles to keep the human race alive. The individuals who survived the war are divided by allegiances to the Westfall and Lattimer families who settled the area they occupy. The Westfall family fell out of power and must obey the often oppressive government ruled by President Lattimer. In this society, the daughters of the losing side of the battle must enter into an arranged marriage with the winning side of the conflict and the daughters of the winning side marry the men on the losing side. This is done in an effort to maintain peace and diminish the likelihood of uprisings against the government. When Ivy Westfall is sixteen years old, it is her turn to be married. Unlike other girls her age, however, she is destined to be married to President Lattimer's son. What the Lattimer family does not know is that she has been tasked with a secret mission to take down their family and kill her new husband so her family can rise to power and rule. The plot of this novel does not bring anything new to the vast number dystopian stories that have been written. The world-building is vague and a little underwhelming, and there are some inconsistencies that are difficult to dismiss. This society seems to be largely homogenous and Caucasian (not realistic), and how the characters obtain certain necessities for survival is a mystery. There are multiple scenes in which Bishop and Ivy eat things like eggs, steak, sandwiches with lunch meat, cheese, strawberries and pastries. These people also have running water and take daily showers without thought of radioactive material contaminating their water. How is it that their water doesn't make them sick, and how do cows and chickens survive a nuclear war that decimates most of the world's population? We don't see any farming communities or greenhouses in the story and it doesn't sound like this community goes outside the fence to hunt, so it is a puzzle how these people are able to conserve and produce basic resources needed for survival. We're also told that people have the option to work if they want to but it's not a requirement for newly wed couples whose main purpose is to be fruitful and multiply.....wouldn't a population of only ten thousand people need to band together and work to produce precious resources, especially the younger and likely stronger members of the community? I really don't get it. 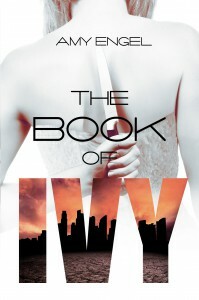 Although there are multiple inconsistencies with the plot and the world-building is average, Ivy's life is compelling. Her portrayal as a vulnerable sixteen year old girl is believable and it is not hard to understand her motives or conflicted feelings. She has been isolated from other people in her community and wants nothing more than to please her father. She is still very young and is not ready for marriage, especially to a complete stranger who is disliked by her family. It's easy to sympathize with her as family secrets are revealed and she gradually allows herself to get to know Bishop Lattimer. Bishop is not the monster described to Ivy and is nothing like his father, which makes Ivy's mission for vengeance increasingly difficult to carry out. Torn between her loyalty to her family and a growing attachment to her husband, she is forced to come to terms about who she is and who she wants to be. The book is nowhere near perfect, but the story is entertaining and I am anxious to find out what happens to Ivy and Bishop in the next book, which is scheduled to be released in November. 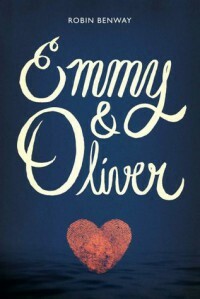 Emmy and Oliver is a boy/girl next door love story with a twist. Emmy has lived next door to Oliver her entire life and they have been best friends since they were born. They did everything together and even share the same birthday. When the kids are seven years old, their lives are irrevocably shattered when Oliver's father kidnaps him during a custody dispute. For the next ten years, Emmy wonders what happened to her friend and has to endure the repercussions of the kidnapping while Oliver embarks on an adventurous life with his father under the presumption that he was abandoned by his mother. Their lives are once again in upheaval when Oliver is discovered in New York and is re-untied with a family and community that has changed dramatically during his absence. 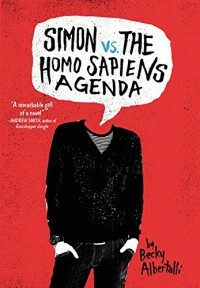 I have a bit of a problem with social issues books like this one. I really wanted to like it and take the story seriously. I acknowledge it had a few moments of cuteness, but there were too many things that grated on my nerves and the novel never fell into the realm of believability. The overall tone of the story is incredibly juvenile - more on that later. The part of the story that worked the most is Oliver's reactions to his family and old friends. He's beyond angry and doesn't trust anyone, including Emmy. He barely remembers his life before the kidnapping and very few things are familiar and provide comfort. He misses his dad and cannot move beyond the anger he feels towards his mother even though he now knows she never abandoned him. Emmy and Oliver do not immediately pick up where their friendship left off and their initial interactions together are awkward. Oliver's characterization is probably the most enjoyable aspect of the story and it tugs at your heart at how much he is hurting. Although the story has some dramatic momentum, it lacks execution. There were stylistic and editing issues that may very well come down to personal preference, but I kept cringing at certain word choices in the book. 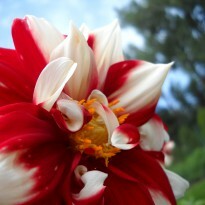 There is a great deal of character "flinching" and every other page has someone uttering the words "I'm sorry." Many character facts are told to the reader over and over again, one example being that Caro has five siblings and is annoyed that she has to share a room with her messy sister Heather. A book with better editing would catch repetitive words and phrases and force the author to re-write a scene to show us that a character is feeling remorse, guilt or anger without literally having to tell us the feeling word they are experiencing. One of my biggest pet-peeves about YA novels is the recurring cliche that parents are EVIL selfish assholes. All of these teenage characters know right from wrong more than their adult counterparts and all of their problems stem from the unreasonable actions of their parents. Emmy is a seventeen year old girl whose parents are illogically overprotective and will not permit her to apply for colleges away from home, enforce a 9:00 p.m. curfew and expect her to refrain from dating until she is eighteen. She has no choice but to constantly lie to her parents because they imprison her in their home and do not allow her to be herself. Caro and Drew's parents are noticeably absent and have no idea who their children are (or where they are, for that matter). Then there's Oliver's parents, who use their child as a weapon to hurt each other. Teenage rebellion is part of the process of growing up and forming opinions about life that may not always match up with those of your family. These dynamics should definitely be explored in coming of age stories, but the adults in this book are one-dimensional exaggerated caricatures of the worst kinds of parents. The notion that these kids are more enlightened and logical than their parents is downright ludicrous and the majority of the conflict is unrealistically resolved when the adults accept the "right" point of view of their kids. Ridiculous. "If you won't be my friend, you'll regret being my enemy." Oh Kestrel. You can be enormously infuriating, but like Arin I just can't seem to shake you. I may not totally relate to Kestrel's character but I can empathize with her situation. She made a dangerous choice at the end of The Winner's Curse to save the life of someone she loves at the cost of her own happiness and freedom. She's now ensnared in the emperor's carefully orchestrated web as the future bride of the prince and unfortunately for Kestrel, the emperor has a lot more experience playing war games than she does. The story is heartbreaking and oozing with tension from the very beginning. The scenes with Arin and Kestrel are poignant but never excessive. Their interactions are full of longing and misunderstanding. However, their romance is woven into the narrative instead of being the focal point of the story. The world's problems are so much bigger than Kestrel and Arin. Other people depend on them and their failures are keenly felt throughout the story. 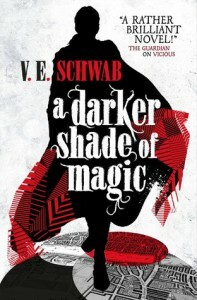 While the book initially had me hooked, the plot became a little bit bogged down about half-way through the story. I was annoyed by the detour into Kestrel's interactions with Ronan and Jess. I don't quite understand why Kestrel would be so shocked by their behavior toward her. This sub-plot also didn't seem very connected to the rest story. I didn't really care about what happened to Jess or Ronan and their roles were the weakest part of the plot. Their scenes with Kestrel may emphasize her increased isolation but their presence in the story is so minimal to begin with that the impact is lost. Both Arin and Kestrel have made choices with high-stakes and dire consequences. I cannot wait to see how their journey will conclude in the final book. It definitely won't be easy for either of them. Eighty pages into the story and I'm SO BORED. This one just isn't holding my attention so I'm putting it aside. 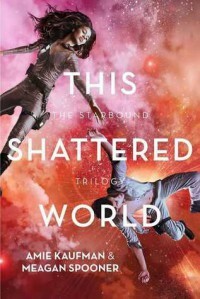 This Shattered World is a book that I eagerly anticipated upon its release and it was one of the first books on my TBR list for this year. I really enjoyed its predecessor, These Broken Stars and had high hopes for this book. I love the imaginative world these authors have created. Avon is simultaneously brutal and mysterious, a young planet that is being colonized but whose potential is unknown and overlooked by the rest of the colonized realms in this universe. In the midst of a struggle to keep the colonists of Avon from the brink of civil war is Jubilee Chase, a soldier from Verona who has witnessed tragedy and vows to keep others from experiencing the horrors of her childhood. Jubilee is strong-willed and a captain who is respected by the soldiers she commands. She is loyal, intelligent and everything an amazing heroine should be. While this book was good and Jubilee is a wonderful character, the story wasn't exactly what I hoped it would be. There is one scene in which something devastating happens and the moment is truly heart-wrenching. It packed an emotional punch and I loved/hated every moment of it. And then the authors took it back. If there's one thing I can't stand, it's when authors don't commit to a moment. Life is messy and tragedies happen every day. If you're going to write drama, then your characters need to be hurt or possibly die at some point. I can't get behind a story that is written one way and then the authors are all "we take it back it didn't happen that way at all, yay!!!!" Except it's not at all awesome and after this occurred I didn't really care much about the rest of Jubilee and Flynn's story. The entire story is shallow, ludicrous and one hundred percent unbelievable. Poor Kayla has lost her entire family, best friend and boyfriend on prom night. 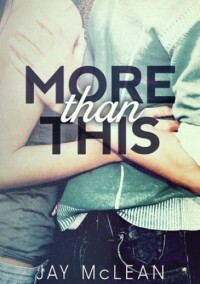 She is rescued by good ol' boy Jake, who is a baseball prodigy and the literal definition of a knight in shining armor. Kayla calls him her prince numerous times and he embodies perfection - he's such "big deal" that she doesn't believe that she is worthy to be with him. The dialogue is awful and a lot of the same phrases are used throughout the book as if this is some sort of cute, endearing feature. Believe me, it's not. I really don't understand the fascination with the New Adult genre and why all these mediocre romances get such high ratings. I see a book with the NA tag and I try to convince myself that maybe this time I will find a book that has substance and a believable plot. I know I shouldn't generalize about an entire genre of books and there are probably a few NA books that are actually decent, but my experience with this genre has been quite negative. The quality of writing, plot structure, character development, and editing just isn't where it should be for a published work. I was planning to reflect on all of the books I read in 2014, but truthfully my list isn't very comprehensive and does not reflect all of the wonderful books that were released last year. I decided that I won't set a reading goal for 2015 that focuses on the number of books read. Instead, I want to challenge myself to read books across a variety of genres that will push me out of my comfort zone. I'll still read from my favorite genres, but I will make more of an effort to pick a few non-conventional choices for myself. If there's a book that just isn't working for me, I will be better at giving myself permission to say it's okay not to finish it and move onto something else. This book is a mash-up of eccentric stories pulled from the author's life in which she makes fun of herself while embracing her inner crazy. There are tales about her unconventional upbringing, an immensely terrifying squirrel puppet, a pet turkey named Jenkins, zombie Jesus and other embarrassing events of marriage and motherhood. Pretty much every faux pas you can think of, as well as ones beyond our imaginations, are committed by Lawson. Humor is not easy to convey in writing. We don't hear the vocal intonations of the narrator (unless you listen to the audiobook) and there aren't any non-verbal cues to accompany the jokes. I am tempted to listen to the audiobook at some point because I think it may change my perception of the book a little bit. 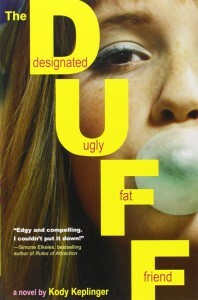 The majority of the chapters are entertaining and provoked a "wtf" response from me, but I didn't find them very funny. Some stories I liked while there were quite a few that I didn't care for, and the chapters felt more like a bunch of nonsensical ramblings than a complete book. 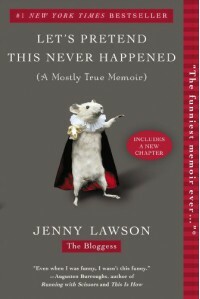 I admire Lawson's ability to put herself out there on her blog and in this book. I imagine it's both terrifying and liberating to share such personal and oftentimes uncomfortable aspects of your life with complete strangers. While I wish the book didn't focus so much on events that attempt to elicit a shock-factor response and think some of the humor is forced, I am glad that Lawson has shared her life and unique perspective with the world.